The Students’ Representative Council has held the 2018 edition of its Leadership Summit for students of the University on the theme “The Role of Student Leaders in Nation Building”.. Speaking at the summit on the topic “Student Leaders as the Pioneers of Sustainable Development”, the Minister for Information, Mr. Kojo Oppong Nkrumah noted that in every society, leaders emerge adding that “It is the nature of men to have leaders”. Mr. Nkrumah advised students against electing parochial interest in leadership saying “A leader, who operates for parochial interests, will not be successful in this sustainable development exercise”. He indicated that it was only leaders who operated in the best interest of their group and were cognizant of the interest of other stake holders would be successful in moving their people towards sustainable development. “Approaching Democracy from this point of view will ensure that various positions of various stakeholders can be respectfully, properly articulated and in the end each stake holder’s view can be accommodated in the final solution,” he noted. The Minister for information stated that “Extremism and grandstanding has never been a model for building sustainable development. He said the best nations were built on accommodating divergent views. 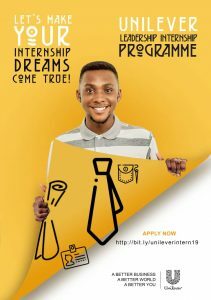 He stated that in his opinion, “the true role of leaders, not just student leaders but all leaders in all facets of national life, ought to consistently engage with all stakeholders in accommodation each other’s positions, in finding middle ground so that we can move our various communities towards an improved quality of life without negatively affecting each other’s eco-system”. He lamented that hardly do we highlight the model of the leader who was focused on building consensus, finding middle ground between entrenched positions, making progress, and focusing on the important substantive matters as against holding everything to ransom often over little side issues. 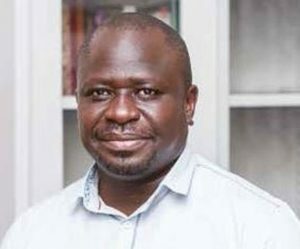 He noted that the consequence was that “people are demonstrating to future generations that leadership is about Aluta Continua, no compromise, and middle ground”. He said such positions would lead to the creation of “ungovernable society”. 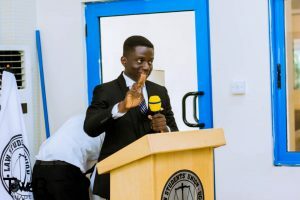 Explaining government’s stance on the Kwame Nkrumah University of Science and Technology incidence, he stated that government had no intention of dictating who should serve on the Council of the University. He stated that government’s intention was to ensure that the parties involved in the incidence did not become judges to preside over the very incidence they were involved in. He also explained that government was engaging all parties in order to understand their stance and also let them understand that of the government for common ground to be reached. 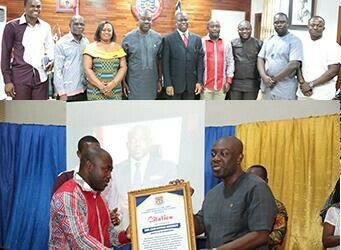 The SRC honoured Mr. Nkrumah with a citation for his outstanding contributions to knowledge and human capacity building. The summit was graced by the Dean of Students’ Affairs, Eugene K. M. Darteh; legal practitioner, Dr. Lawyer Maurice Ampaw, former Director of UCC Counselling Centre, Prof. Linda Forde; Coordinator of the Fellowship of Evangelical Students, Mr. Victor Gyabaah, student leaders, some lecturers, traditional leaders, and students. Earlier, Mr. Nkrumah paid a courtesy call on the Vice-Chancellor, Prof. Joseph Ghartey Ampiah. Mr. Nkrumah assured the Vice-Chancellor that government would partner the University to introduce cross cutting programmes to help revamp the public sector.